We will guarantee you the BEST PRICE when you book directly with us - so book onlline, email or call us. We're ranked number 1 on Trip Advisor under 'Fox Glacier Speciality Lodging'. Fox Glacier TOP 10 Holiday Park is the perfect place to base yourself while exporing all that New Zealand's Glacier Country has to offer. Plus thrown in is one of the finest views of New Zealand’s highest mountain, 3754m Aoraki/Mt Cook, which can be had from much of our holiday park......obvioulsy weather permitting. Fox Glacier Village is a real New Zealand town that has retained its rural charm. The pace of life is relaxed and friendly and there is a great selection of cafes, pubs & other services. Fox Glacier is the only location in New Zealand where you can experience 5 short walks that lead through a variety of stunning landscapes, wander through rainforests, glaciers, wild West Coast beach and pristine mirror lakes, all only 20 minutes away from the Fox Glacier TOP 10 Holiday Park! We've also developed a selection of "Out Foxing Guides" which let you become your own tour guide - be sure to ask our super friendly team all about them. You’ll find a warm and temperate climate at Fox Glacier, but the region is also known for receving high levels of rain with an average annual rainfall of 4051mm - that's more than 4 metres of rain each year so remember to bring your raincoats & gumboots. We have all the BIG TICKET adventure items right here in the Fox Glacier Region, all within 5 - 50 minutes drive. Top picks include scenic helicopter and fixed wing flights with glacier landings, ice climbing, tandem ski diving as well as spectacular scenic walks to the the Glacier or through stunning rain forests. Welcome to our place! We offer a wide range of accommodation types to suit all travellers. We have modern studio, one and two bedroom motels, self-contained units, lodges, standard cabins, all weather powered sites for RV's, campervans and caravans and non-powered vehicle sites plus an informal camping area. Make a booking! We've kept it simple so you can book the accommodation type that best suits your travelling needs. Remember to make sure you allow enough time to explore the stunning Glacier region as there is so much to see and do. 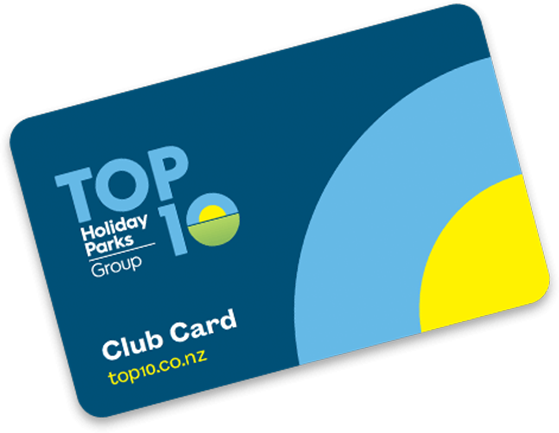 Fox Glacier TOP 10 Holiday Park has been part of the Levien family for 30+ years and is currently owned by Jeanette & Steve Edwards and managed by their trusty Managers Karl & Holly Quayle who thrive on giving excellent customer service.